Happy Canada Day! It’s a great day to share more information on our new printing partner. The Lab Works located in Winnipeg, MB, has been serving professional photographers throughout Canada with printing fulfillment services for over 20 years. 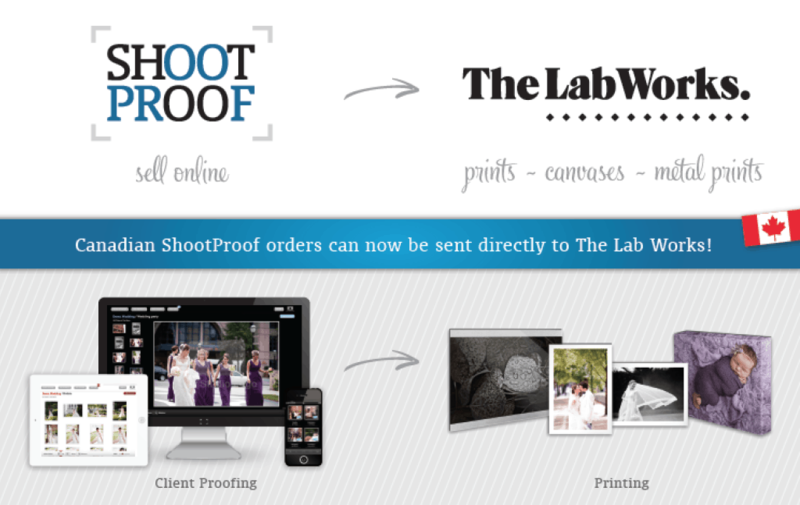 ShootProof and The Lab Works have partnered to provide Canadian Photographers a beautiful online client photo proofing and sales solution with integrated print fulfillment. Thousands of photographers use ShootProof to upload, share and sell photography online in public and password-protected client galleries. Photographers in Canada with client orders in ShootProof containing items such as glossy, lustre, matte and metallic prints, canvases and metal prints can now be fulfilled directly by The Lab Works following the photographers review and approval. Order approval and submission through ShootProof is super easy, watch this video of order submission to The Lab Works. Not every lab is created equal. The Lab Works has passion and know-how. Their skilled technicians each have on average, over 20 years of experience in the photo industry. Their digital printers are all state of the art, and the most current models the manufacturer has to offer. They have a fully managed colour process with paper types tightly calibrated and every aspect of their prints optimized, producing accurate colour every time. Why Print with The Lab Works through ShootProof? Visit TheLabWorks.com to learn more about their products. Visit ShootProof.com for a free 30 day trial. ShootProof members can simply create a new price sheet to get started.